We are sure you are aware of UK Solihull Junior School’s Head Master, Mr Mark Penney and his family’s visit to Sri Lanka in August 2016 and followed by their pledge to part fund construction of a building to PTK RCTMS. During their charity week in October 2016, Solihull Junior School raised £10908 towards the construction of the building to PTK school (Solihull Junior School Raised £10908 to PTK RCTM School). 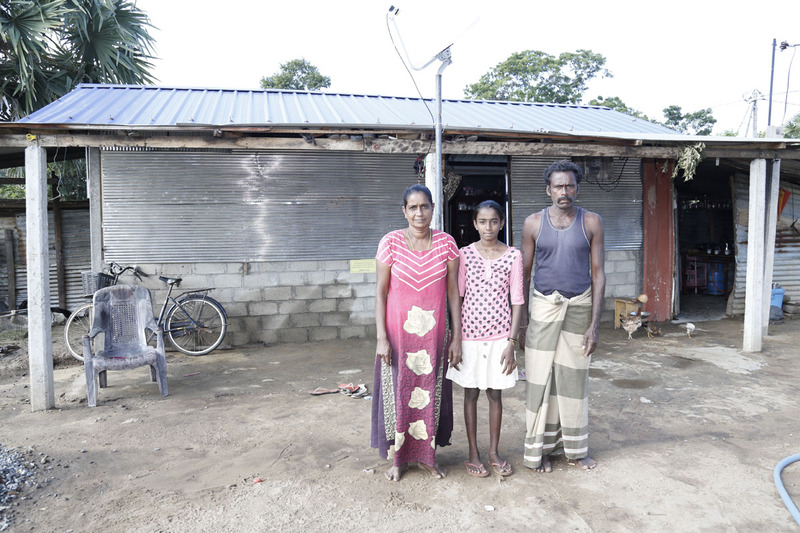 As the cost of the 100′ long building was £23k, we needed more funds. 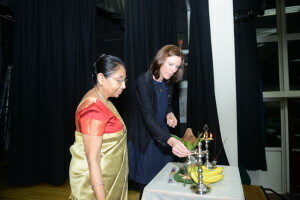 A gentleman from Sutton, UK, Mr K Sivashankar, originally from Nelliyady, Karaveddy, donated £4000, plus £1000 of gift aid of his donation, in memory of his mother, late Mrs Puvaneswary Kanapathipillai from his native village. 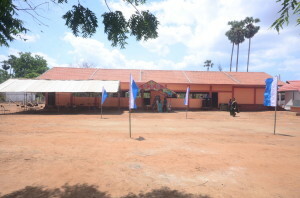 Assist RR, UK, funded the rest needed to complete the construction of this building. The building was ceremonially declared open on 14 June 2017 by Mr Premananthan, additional Provincial Director of Education of the NPC. 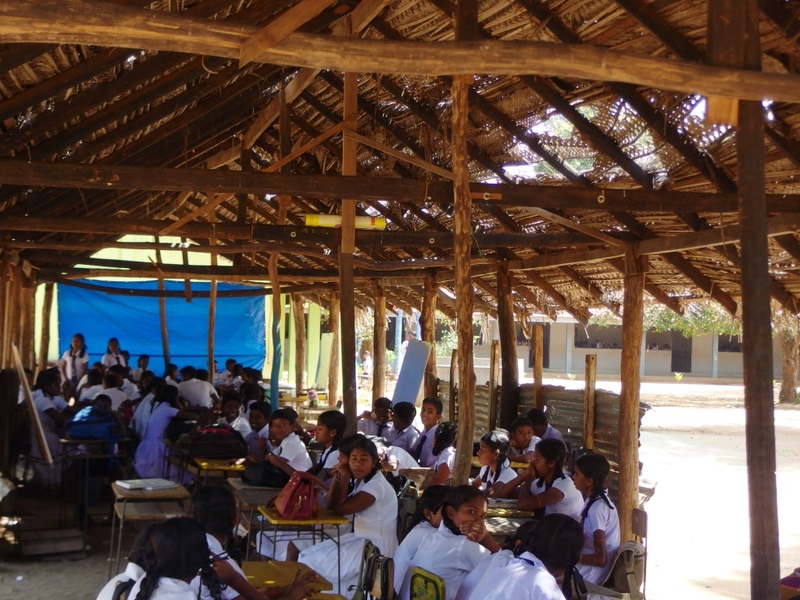 The school community was very happy that they do not need to conduct lessons under unsafe temporary shelters covered with tarpaulins and thanked all the donors, who made their dream a reality. 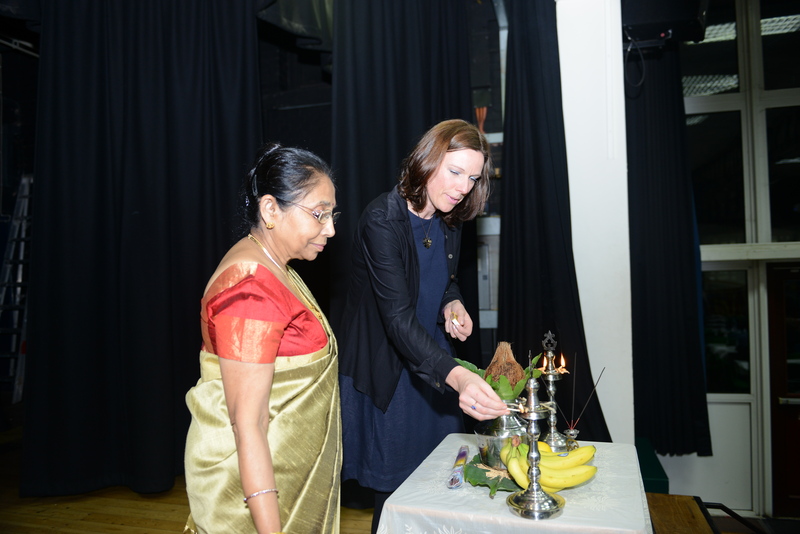 We would like to express our gratitude to Solihull Junior School, Mr Sivashankar and the UK Tamil Diaspora for providing the funds needed to provide a safe and acceptable environment for learning to the children of Puthukudiyiruppu. 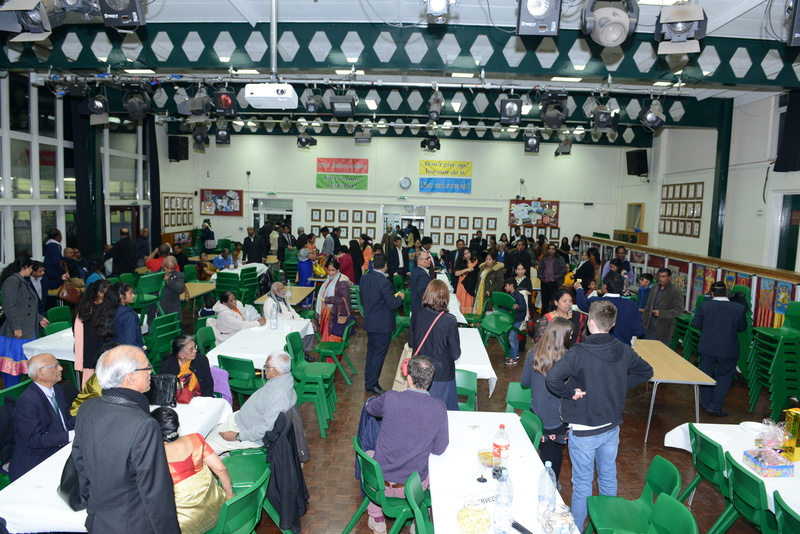 Our annual dinner was held on 28 Jan 2017 in Essex. Dr Somasundararajah, our patron and a trustee of Birmingham Balaji temple, volunteered to emcee the event and also gave a speech on Assist RR’s achievements. Miss Gaayini Nadanakumaran gave the welcome speech and Mr Mark Penney, Head Master of Solihull Junior School, joined us with his family and gave a powerpoint presentation based on his visit to Sri Lanka in July 2016. 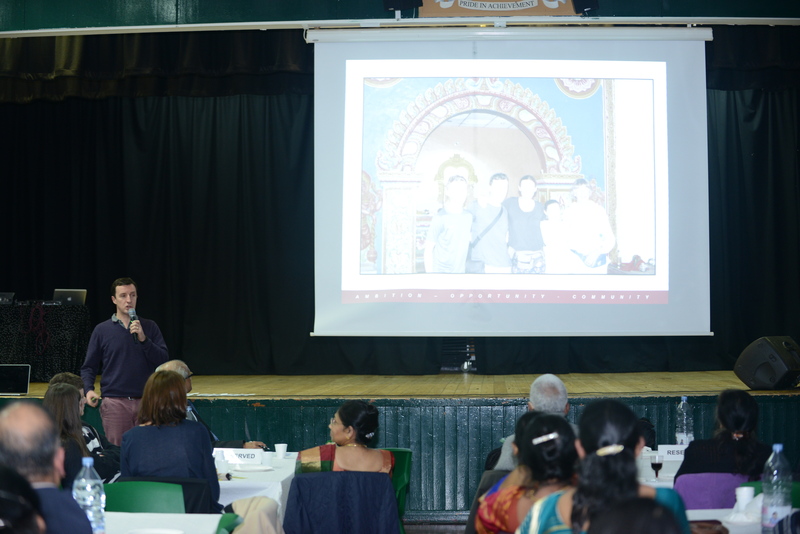 Dr Sathiyamoorthy, Director of Jaffna Teaching Hospital, joined us through Skype and spoke about the issues facing the education of children from remote villages. 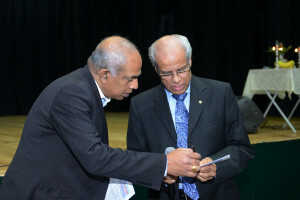 Our Chairman, Dr V Sarveswaran, also gave a presentation on Assist RR’s projects in the North and East. We would like to thank the youngsters, who volunteered and performed very well at the dinner. Two of our members sponsored all the expenses including hall hire, sound, food, etc., and another member made a donation of £250. Including this donation, we managed to raise £3815 at the dinner. 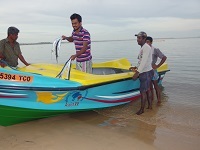 Out of this, Assist RR donated £2300 to an organisation called ORHAN in Vavuniya. 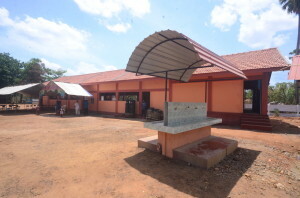 ORHAN (Organization for Rehabilitation of the Handcapped) in Vavuniya district was established in 1999 and working for persons with disabilities. It has been providing various services to persons with disabilities such as special school for mentally challenged children, Physiotherapist unit, and vocational training unit etc. 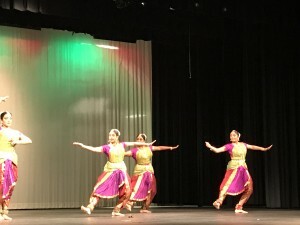 The balance will be used for various educational activities in the north and east. 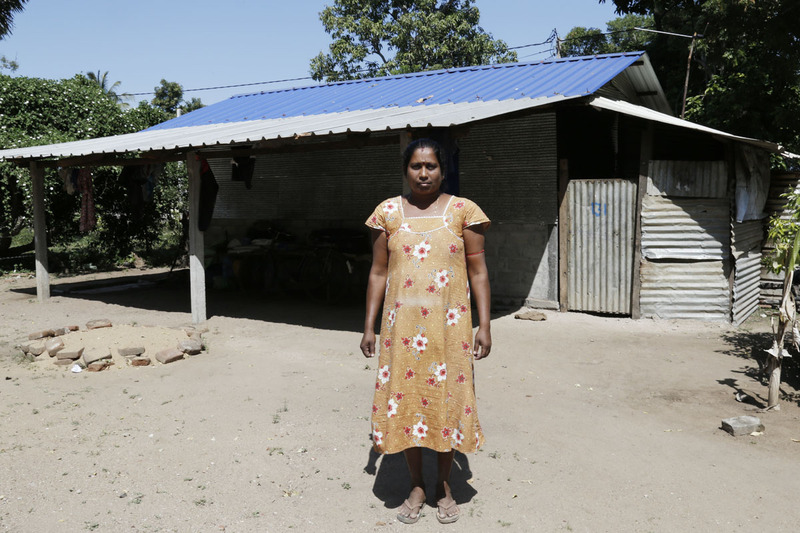 Areas affected by the war in the North and East of Sri Lanka are still recovering from the three decade long civil war that ceased in 2009. Local health care provision, whilst making tremendous achievements against all the odds, is still sub-optimal. 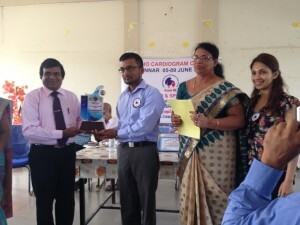 In particular, the whole of Northern Province, with a population of over 1,000,000 is served by only 3 cardiologists: 2 in Jaffna district; 1 in Vavuniya district. 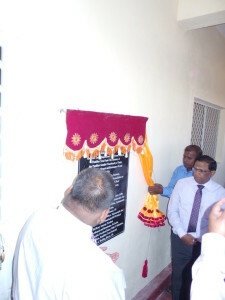 However, there is no cardiology or echocardiogram (echo/ ultrasound scan of the heart) service in the other three districts of the Northern Province (Mannar, Killinochi and Mullaitivu). 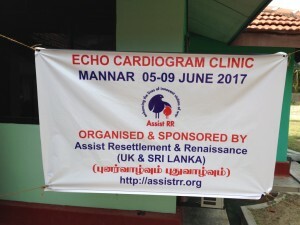 The Health Ministry of Northern Province has requested Assist RR to help reduce the work load on the three cardiologists by providing free echocardiogram clinics, in the first instance, in Mannar, which has a population of approximately 100,000 people and has a long list of patients for echo or cardiology input. 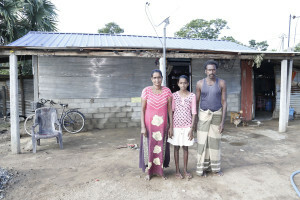 As there is no cardiologist in Mannar, the patients will have to make long and uncomfortable journeys to Jaffna or Vavuniya to see the specialist. 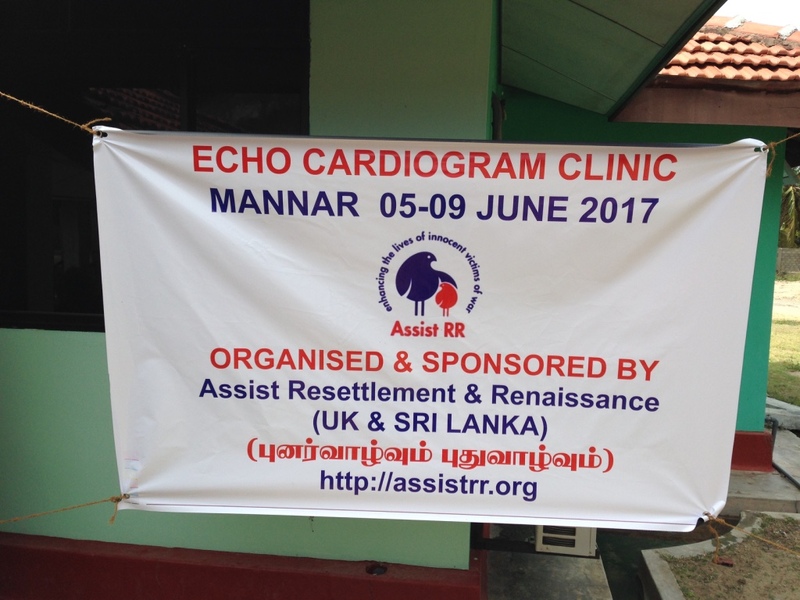 Therefore Assist RR will run echo clinics every 3 months with the help of volunteer echo specialists from abroad. We will aim to scan 250 patients in one week. This is an exciting opportunity for cardiologists and physiologists who can perform echocardiogram. We have teamed up with Dr Mayooran Shanmuganathan, a cardiologist from the UK, to hold regular echocardiogram clinics. 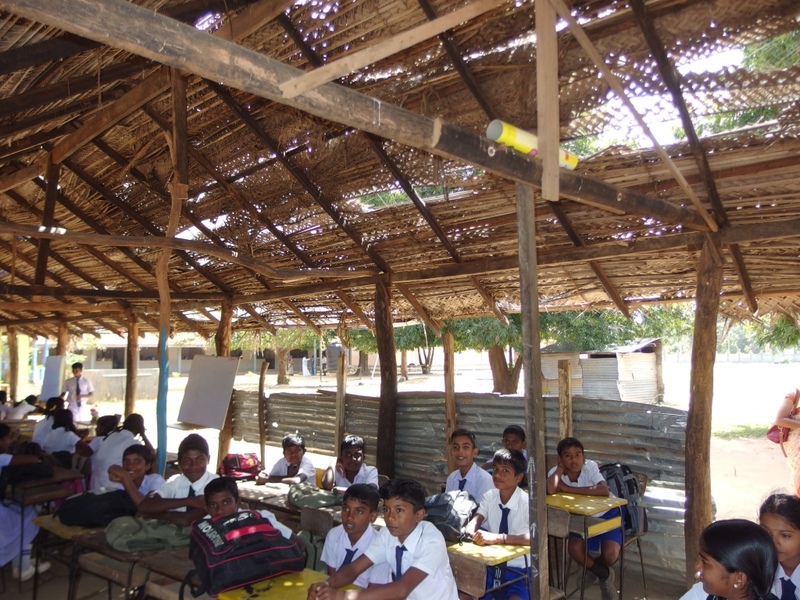 Our first project will be in Mannar. The local general physicians who are in charge of these patients will organise them to attend our week long echo clinic in June 2017. The echo reports will go back to the general physicians, who will then decide on the appropriate management and/or referral to the tertiary cardiac centres. If any cardiologists are interested in volunteering for this project, please confirm your acceptance in writing by emailing to Dr Mayooran Shanmuganathan at ms1702@ic.ac.uk ASAP. Please attach a short description about your field of work and in particular full details about your capabilities in echocardiogram. We are looking for 2-3 volunteers. We will endeavour to confirm your place on this project within 48 hours of receiving your confirmation. We may be able to subsidise your air ticket costs through funds raised from well wishers. 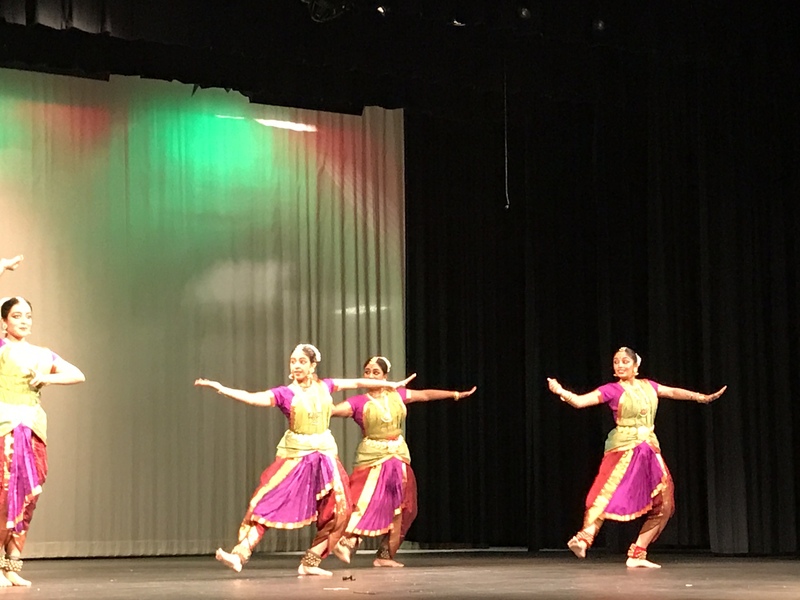 If anyone is interested in supporting this project, please use the link below to donate. 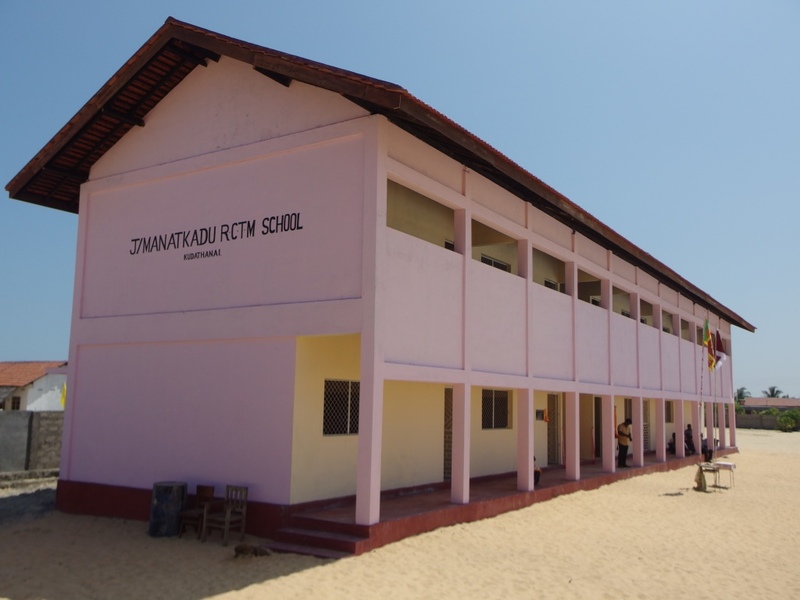 Jaffna Manatkadu Roman Catholic Tamil Mixed (RCTM) School was destroyed by the 2004 Tsunami but never received any support for its relocation away from Tsunami zone. Classrooms were being conducted in a metal temporary shelter and the nearby church corridor. 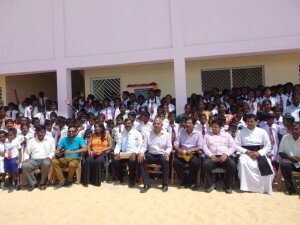 Following appeals to the local Divisional Secretary, Mr Kanageswaran, and to the District Secretary, Mr N Vethanayagan to assist the school to relocate in its new land, Mr Vethanayagan approached Assist RR and made a request to provide a classroom two-storey building containing 10 classrooms. Assist RR made an appeal amongst its friends and families and received support from the following organisations: Building Blocks, UK; Malaysian Diaspora Tamils and Tamil Forum Malasia; Pandithar Trust Fund, UK, in memory of Puloly Pandithar Kandiah Vinasithamby; Assist RR, UK. Building works commenced in June 2016 and was completed in Januray 2017. 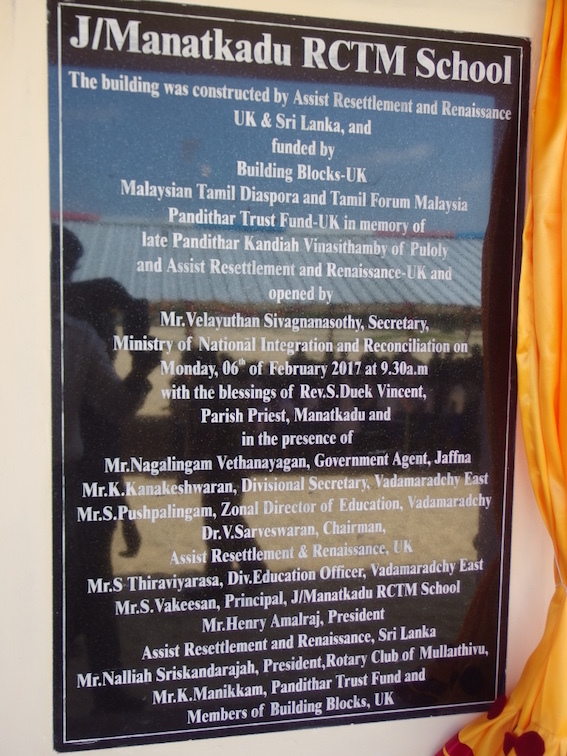 The building was handed over on 6 Feb 2017 and was declared open by Mr V Sivagnanasothy, Secretary to Ministry of National Integration and Reconciliation and joined by Mr N Vethanayagan. The villagers told the gathering that they tried over the past 13 years in vain to have the school shifted to the new location and that a new chapter is beginning due to the support of Mr Kanageswaran, Mr Vethanayagan and Assist RR and other donors listed above. The local villagers and school children were very pleased that they now have a decent and safe environment for learning. Although Assist RR made an appeal to construct only 20 temporary toilets costing £2500 in April 2016, it was overwhelmed by the support received from the Diaspora. 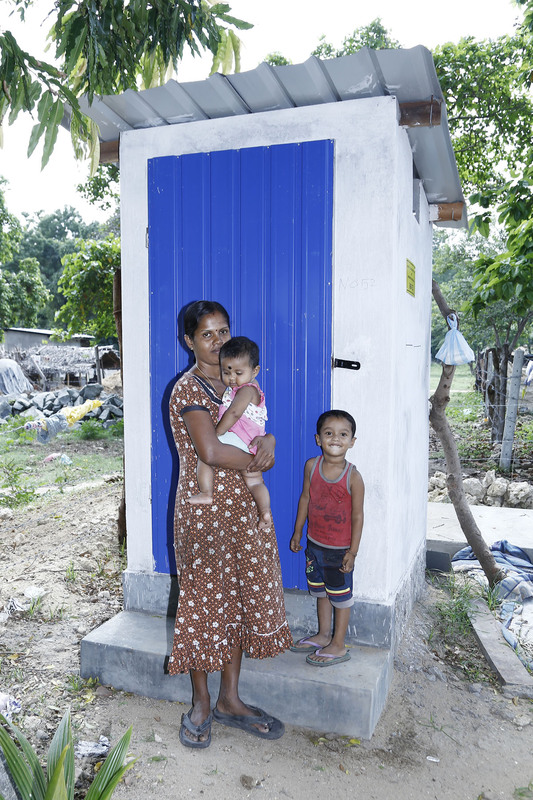 Assist RR ended up raising £20,000 and constructed 100 permanent toilets to Sampoor IDPs. 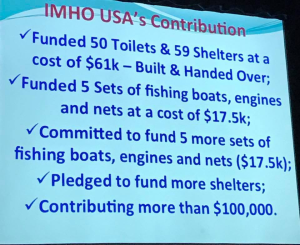 Assist RR is very thankful to IMHO USA, who made this a reality by funding 50 permanent toilets in the first instance. 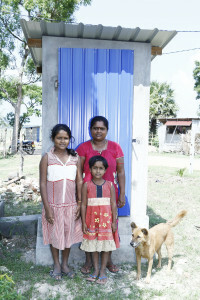 Their support made Assist RR to raise funds for another 50 toilets. 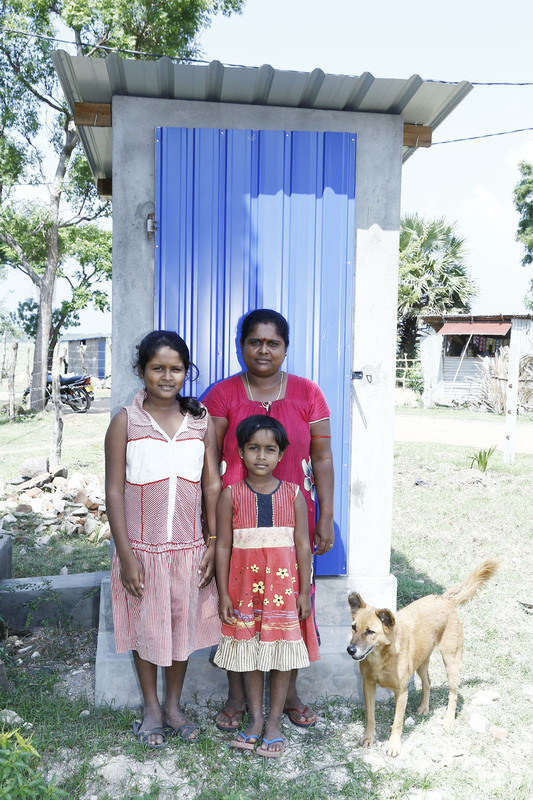 After Assist RR started constructing toilets, other INGOs also joined forces and provided more toilets. 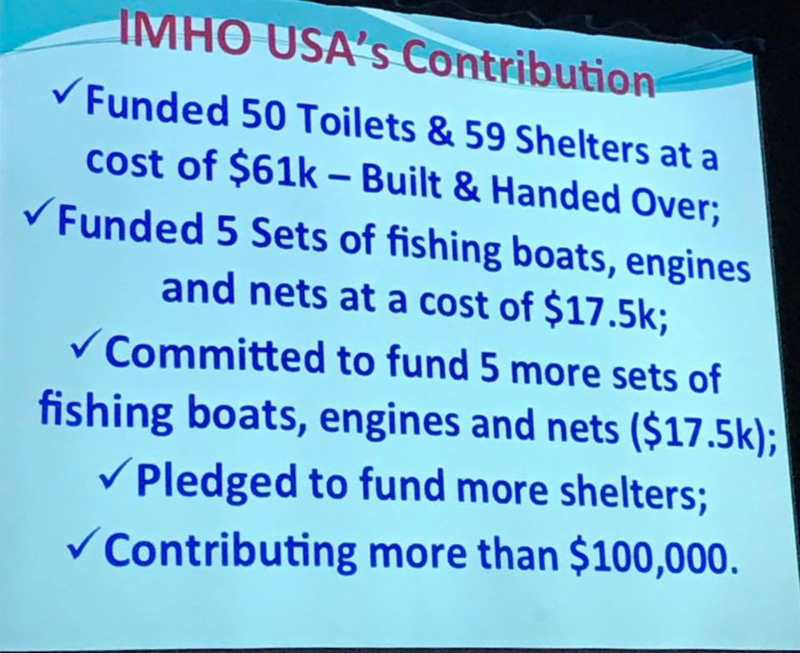 IMHO USA also provided around £21,000 to construct 35 semi-permanent shelters. Many other Diaspora Tamils from the UK, USA and Singapore have also donated funds to construct another 30 shelters. 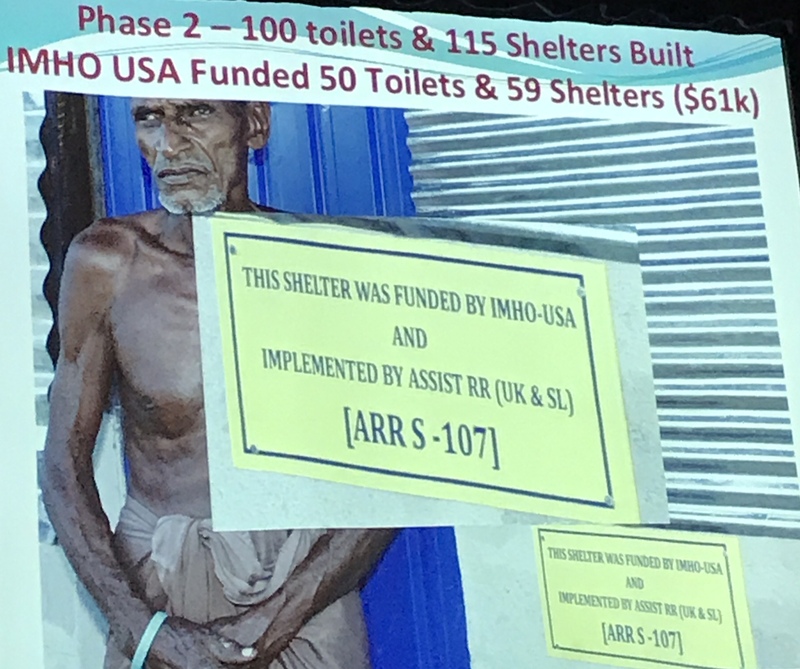 Since the start of resettlement of Sampoor IDPs in Sept 2015, Assist RR, with the support of many Diaspora organisations and kind hearted individuals from around the globe, has managed to build 155 permanent toilets and 120 semi-permanent shelters. I attach some photos. 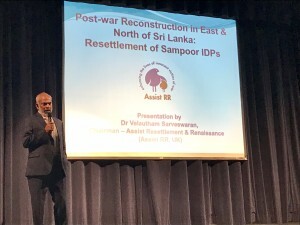 Assist RR would like to express its gratitude to all those who supported this project and provided decent shelters and toilets to Sampoor IDPs, who were living in welfare centres since 2006. A list if donors, who contributed to the construction of shelters and toilets is given below.